First available in 1983, designed by Dame Margaret Barbour, the Beaufort is one of the most iconic and popular waxed jackets. 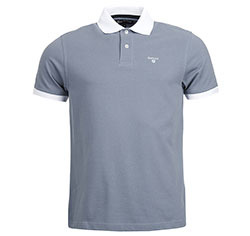 Available in Rustic, Navy, Black & Classic Olive. Rustic (dark brown) now on sale. 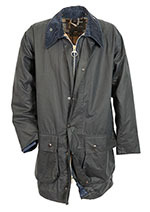 The Beadle waxed jacket is one of Barbour's classic jackets. Made from a 6oz waxed cotton it is extremely weather proof & you can add both a hood & zip-in liner to make the Beadle very versatile and wearable all year. Barbour Border Waxed Jacket, part of the Classic Barbour range. A great clasic Barbour, if you want a coat for every day & heavy use. The Bristol classic waxed jacket is a fitted version of the traditional Barbour Beaufort waxed jacket, without the poacher pocket. 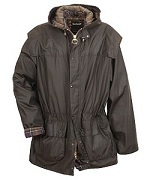 It is a very good coat for someone who likes the traditional Barbour but wants something a little more modern. Barbour Classic Durham Waxed Jacket, part of the Barbour Classic range.